Owl Pellet Student Pack. Perfect for students of all ages. that are easier to separate and identify than tightly compacted pellets. allowing more time to enjoy the experiment with less bone breakage. There is a sufficient material for everyone to get their own specimen(s) with extras. The packs yield A LOT of bones for sorting and investigating. This is one of our favorite experiments! 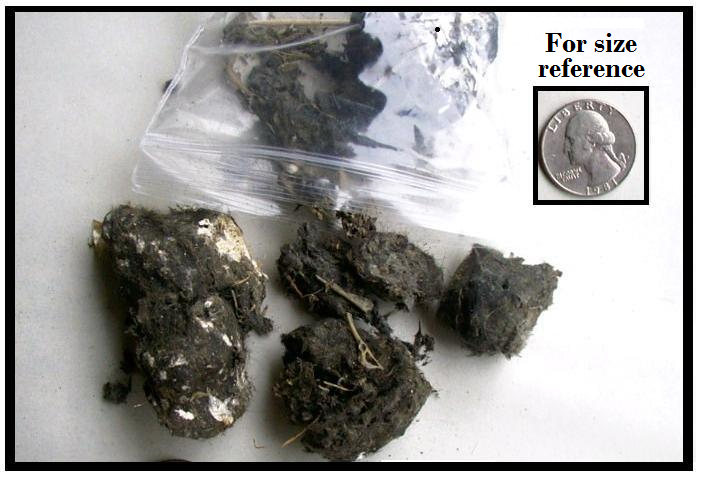 ** Owl Pellets contain animal fur and can aggravate those with allergies. You may need to use a mask for protection from the dust/fur/dander. Our Pellets are sterilized, but care should be taken to avoid touching faces while dissecting. STORE AT ROOM TEMPERATURE IN THE ZIPLOCK BAG. Tip: Moisten them with water as needed. Click here to purchase Magnifiers. Click here to purchase Precision Tipped Tweezers. 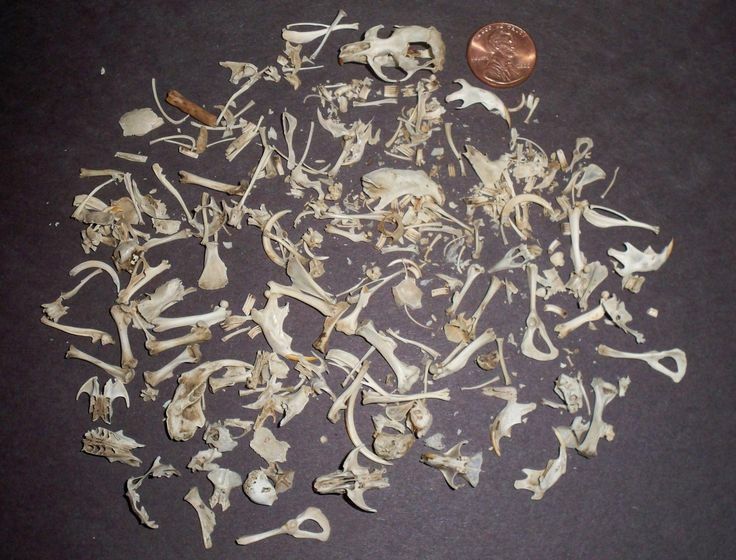 Click here to purchase a PDF Owl Pellet Bone Chart.